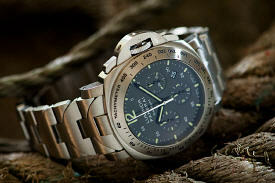 Ok, so a decent wristwatch photo requires you to stop using the Program mode on your camera and to start using a tripod. But once you've figured that out, what settings should you use? The answer is of course not that simple because, well... it depends. 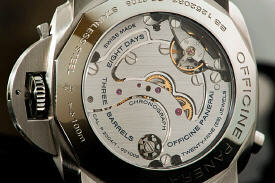 Most wristwatch photos however are taken in such a way that the watch fills the frame. And so the lens is usually close to your subject. Moving in close to your subject means that a smaller area of your subject will be in focus because of a simple but important rule: about 1/3 in front of where you focus and 2/3 behind your point of focus will be sharp. With your lens close to the subject, that means that just a very small area will be in focus (i.e. the zone of sharpness in the foreground and background). Using the smallest possible aperture will however increase this zone aka the depth of field. In case you didn't know, the smaller the aperture, the more depth of field you'll have. And in case this is really all new to you, a high F-number (e.g. F16, F18 and so on) means a small aperture and a low F-number (e.g. F4, F2.8 and so on) means a wide aperture or a large lens opening. With a wide aperture, more light hits your camera's sensor in a shorter amount of time, and as a result the exposure time is shorter. The amount of available light (things are a bit different if you use off-camera flash techniques) will determine how long your exposure time or shutter speed (S) must be. In that case it's best to put your camera in Aperture (A) priority mode, so that the exposure time will be automatically calculated by your camera. With a small aperture your exposure times may be quite long, so you'll really need a tripod to prevent camera shake. What aperture is small enough? First of all, your lens will determine the smallest aperture that you can use. Shorter focal lengths offer greater depth of field. However, macro lenses (or micro lenses as Nikon calls them) break this rule and are usually longer lenses, for instance Nikon's 105mm VR. Those still offer greater depth of field simply because that's what they're made for. Fixed length lenses - as opposed to zoom lenses - will generally offer you smaller apertures too. An important thing to note is that the actual lens opening (which is what Aperture stands for) is not the same on all lenses. The length of the lens is a factor. I.e. the size of the lens opening with f16 on a 210mm lens is wider than the size of the lens opening with f16 on a 50mm lens. Of course the actual aperture that you'll be using also depends on what you want to achieve in terms of creative photography. Generally you'll probably want as much of the watch to be in focus, but you may also want to do the opposite to get a whole different look by using less depth of field. For instance to focus (no pun intended) the viewer's attention on a particular area. A larger part will be sharp behind your point of focus than in front of your point of focus. The smaller the aperture, the deeper the depth of field. For example, if the focal length and the shooting distance are the same, the depth of field is much deeper at f/16 than at f/1.4. The shorter the focal length, the deeper the depth of field. For example, a 50mm lens at the same aperture and shooting distance, offers a greater depth of field than a 100mm lens. The greater the shooting distance, the deeper the depth of field. With the lens at 10 cm away from the subject you'll have less depth of field than with your lens at 50 cm shooting distance. If you think is useful information then please let me know by posting a comment. Wow, yet another great piece of information, thanks for sharing this again!! PS: het is weer eens tijd voor bier! thanks for the advice with the aperture! I was using too high an aperture and hence getting only a small zone of focus.. DUH! @ADX, most DSLR lenses cannot focus if the lens is within approx 30cm from the subject. Macro lenses allow you to focus up close. 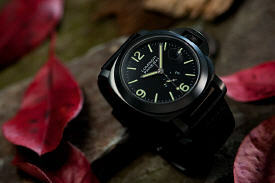 For wristwatch photography you'll usually want the watch to fill the frame and so you'll want to get close. Macro lenses are best for this type of photography. Thanks for these tips, great stuff. I will definitely put this to use the next time I take product shots for my website. At Macro distances the depth of field is 1:1 not 1:2 as the article says. I think that you have misread the article, but thanks for sharing your insights. How about some Fiddy photos for inspiration?